Level Ten Consulting Group LLC is a full service management and consulting firm located in the Grand Rapids, Michigan area specializing in turnaround and corporate renewal. Founded by managing director Jeff Gillesse, Level Ten Consulting Group primarily serves privately held, small to mid-sized businesses in a variety of industries and business endeavors throughout North America and abroad. Level Ten’s professional resources have experience in all North American regions. We do not limit our area of service to any particular geographic region, but are willing and able to serve when and wherever the need exists. First and foremost, we are not an accounting firm. While some of our professionals possess CPA credentials, our experience is much more comprehensive. When accounting firm services may be called for, we recommend credible firms to render those services. We prefer to restrict our service offerings to those in which our experience and skill levels best lend themselves. 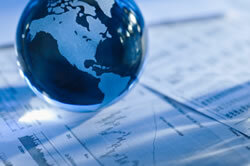 Level Ten's professional team has extensive experience focusing on insolvency and corporate renewal. Our collective knowledge and experience is the product of many years of hands-on involvement in various roles of management from the executive office to the shop floor. In addition, we have significant experience in crisis situations, enabling us to deploy time-tested and refined corporate turnaround and restructure strategies for navigating through the most difficult of circumstances. Level Ten deploys the human resources necessary to accomplish the objectives, matching the required skill level for each task to the selected team member(s). This serves to maximize the service level at the lowest possible cost. Charges for our services are based upon standard hourly rates applicable to the company size and level of skill necessary, using professional staff with commensurate expertise as well as paraprofessionals when practical. All of our resources have significant demonstrated skills and experience in their areas of expertise, so no on-the-job training occurs at the risk or expense of the client. This assures the greatest opportunity for success in accomplishing all of the objectives.